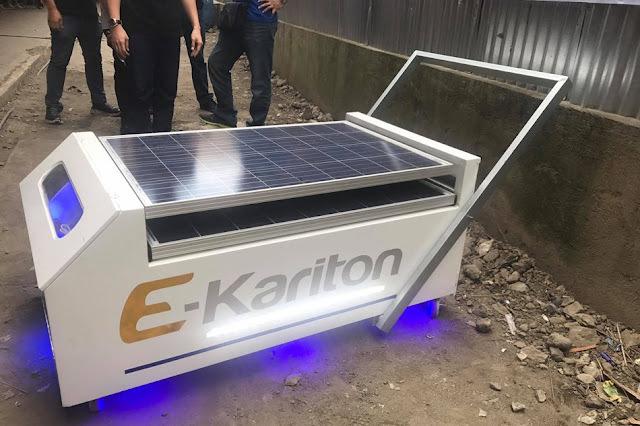 Legazpi City, Albay launced E-Kariton (cart) which features domestic and social advantage. According to Junior Chamber International Legazpi, the e-kariton project was inspired by a "Klasrum Klariton" (classroom cart) maker, CNN Hero awardee Efren Peñaflorida. Features were the solar panels that supplies electricity, TV ready, artificial intelligence processing voice commands, stores first aid instructional material.